Protecting evidence chain of custody is a #1 priority for all law enforcement agencies. 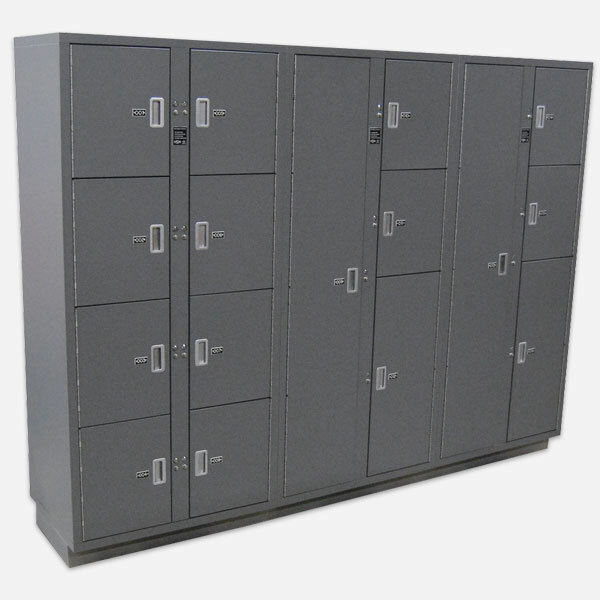 Our evidence lockers have a proven track record—take a look to learn more. Maintaining a well-documented chain of custody at all times is a #1 priority for all law enforcement agencies. Being able to track evidence from the moment it’s “bagged and tagged” to the moment it needs to be retrieved or destroyed is crucial. 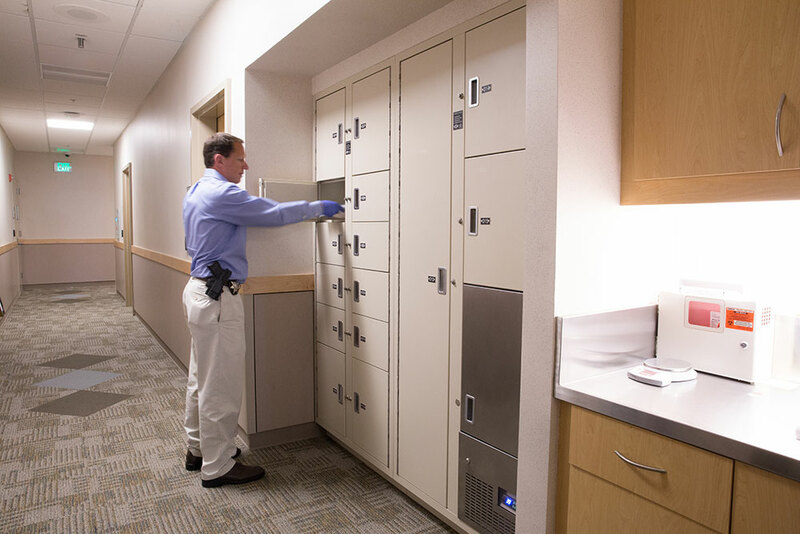 We work with Spacesaver to offer the most secure evidence lockers on the market, allowing officers the ability to deposit any type of evidence day or night in a secure environment. Take a look at how these temporary evidence solutions can assist your law enforcement agency. These lockers are built into the wall between the evidence processing and long-term evidence storage areas, allowing evidence to be deposited from one side and retrieved from another. With a non-pass-through system, evidence is both deposited and retrieved from the same self-closing doors. 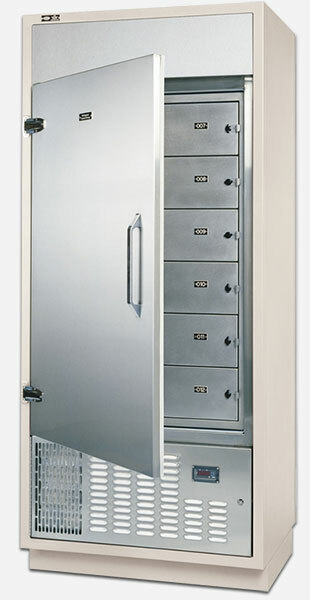 Refrigerated evidence lockers are specifically engineered to maintain a constant temperature of 38-42 degrees Fahrenheit for preserved biological evidence storage. Available in various sizes, can accompany lockers with both PT and NPT functionality. 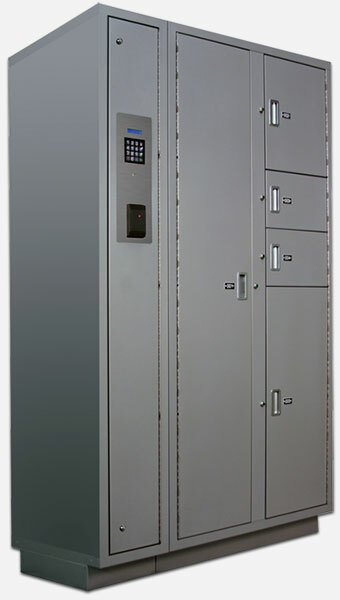 Both PT and NPT evidence lockers are equipped with Spacesaver’s Keyless Locking System. As the name indicated, this no-keys-required evidence deposit system allows you secure locking with a push of the button, and offers multi-point locking systems on all doors for increased security. Marin County’s Twin Cities Police Department wanted to take additional steps to make sure they were adhering to best practices when it came to proper evidence storage. After taking a look at their short-term evidence storage and accessing future needs, we created a pass-thru evidence locker system with a variety of locker sizes to support bulky and small items alike. The system also featured a built-in refrigerated evidence unit to make sure biological evidence was protected until it could be sent to a nearby crime lab. In addition to short-term storage, we have created and designed a number of long-term evidence storage solution for law enforcement agencies. High-density mobile systems, like ActivRAC racking , and our XTend High-Bay Storage Systems, offer compact long-term storage. Learn more about evidence lockers and how they can protect your chain of custody.